There are only two papers that review Shadowland Theatre productions up here in Ellenville, NY, but happily reviewers from both came to see The Dangers of Electric Lighting and both loved it. The first link also has a number of photos from the show. Enjoy! The science is secondary to the human drama in this eye-opening play. 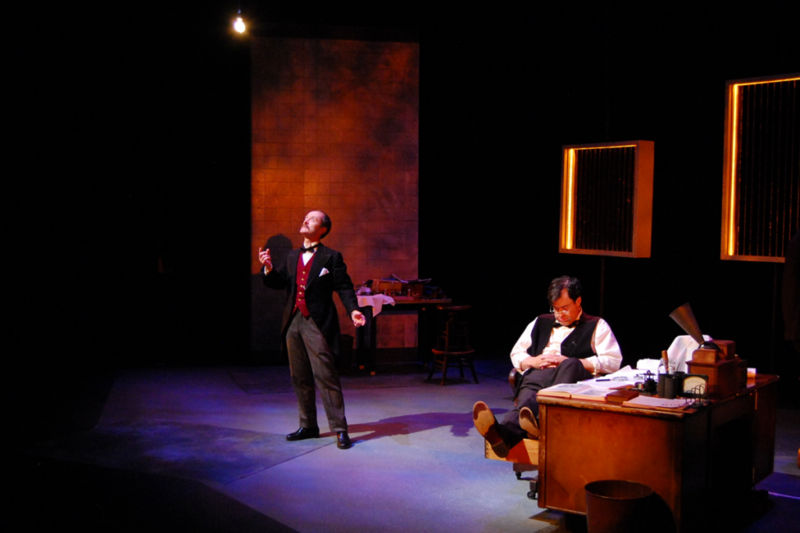 If you thought you knew Thomas Edison, or knew nothing about Nikola Tesla, this play by Ben Clawson, directed by Brendan Burke, will set you straight on both! The Dangers of Electric Lighting at Shadowland Theatre!